• Dual Career Service Vienna - Lower Austria - Upper Austria supports dual career couples in Vienna, Lower Austria and Upper Austria. Here you can find a video about the Dual Career Services Vienna - Lower Austria - Upper Austria. 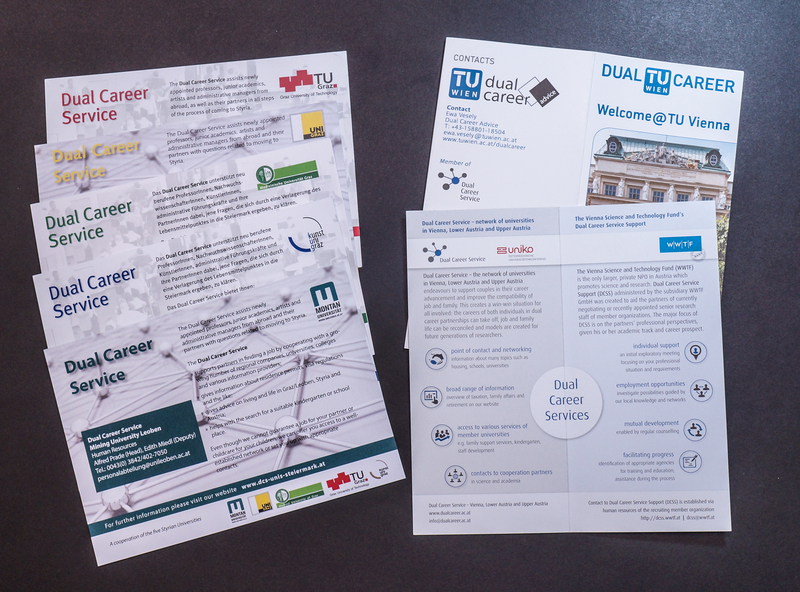 • The main purpose of the Dual Career Service Support is the networking of member organisations from the research and scientific domain in the greater area of Vienna to improve the support for dual career couples. The target group for counselling are the partners of recent (or ongoing) senior research staff appointments of member organisations. This service takes place in close coordination with the Dual Career Service Vienna - Lower Austria - Upper Austria. • The three universities in the middle and western provinces of Austria established the Dual Career Service Network Upper Austria – Salzburg – Tyrol (DC OOE-S-T) in 2017. The network is informal without a separate organizational structure, flexible in its approaches, fast in reacting to requests and open for new members (currently 6 members) who need to sign a letter of intent specifying the rights and duties of membership. • IST (Institute for Science and Technology) Austria offers individualized job search information and assistance to spouses and partners of newly appointed scientists and employees. Euraxess Austria was partner in the EU project EURAXESS TOP III "Making European research careers more attractive by developing new services and enhancing the current services of the EURAXESS network", Task "Career Management: The experienced researcher” (2015-2018, Gr No: 665934), funded by the EC under the Horizon 2020 programme under the task lead of the University of Copenhagen (UCPH). The information gathered in a report has been submitted by a Dual Career and Integration Services Expert Group, encompassing of representatives from European institutions and universities from six countries; Austria, Germany, Denmark, The Netherlands, Norway, and Switzerland. The goal of this report is to analyse and map the landscape of DCIS in the six countries as well as exchange knowledge of best practice examples in order to develop and improve the services based on the needs of each institution. The final outcome of the report presents the expert group’s findings, as well as recommendations bearing in mind the national and local context. 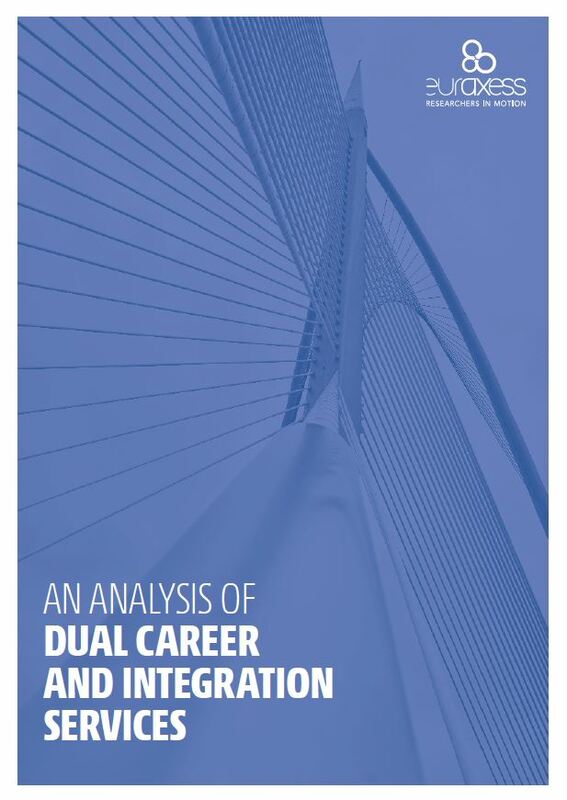 The report "An analysis of Dual Career and Integration Services" can be downloaded here or in the EURAXESS Extranet (for EURAXESS members only). For any further information please contact: Maria Unger, OeAD, maria.unger@oead.at. The funding comprises interview grants, relocation grants and dual career grants for researchers from abroad who want to start or continue their career in Austria. Dual career grants support activities to integrate partners into the Austrian job market (career advice, language courses, trainings etc.). Hier gibt es einen Überblick über die kommenden Jobmessen und Karriereveranstaltungen der einzelnen österreichischen Career Center. Ziel des Programms ist die Unterstützung der Arbeitsmarkteingliederung von qualifizierten Personen mit Migrationshintergrund und gleichzeitig die Förderung der Internationalisierung der österreichischen Betriebe. Der interaktive Kompetenzatlas ist eine Lehr- und Lernunterlage zur Vermittlung von Managementkompetenzen. Im Berufsleben spielen Fachkenntnisse, Fertigkeiten, Vorerfahrungen und Kompetenzen eine wichtige Rolle. Der computergestützte Test MYSKILLS der Bundesagentur für Arbeit (BA), der in Kooperation mit der Bertelsmann Stiftung entwickelt wurde, hilft dabei, berufliches Handlungswissen sichtbar zu machen.